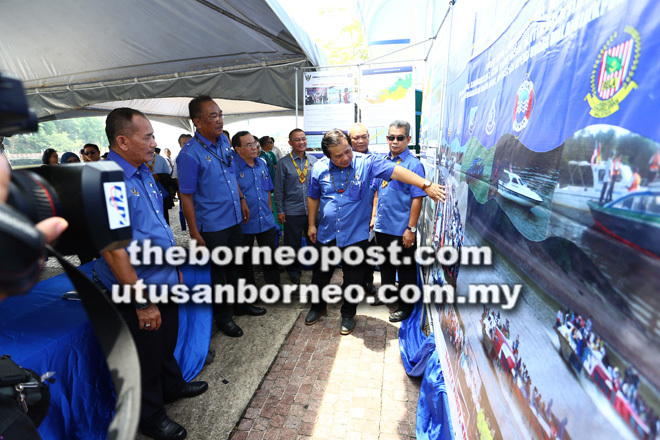 KUCHING: Sarawak Rivers Board (SRB) plans to set up a council to monitor river safety in the state, in line with the Sarawak government’s objective to establish a Safety Council committee for all aspects, including road safety and river safety. 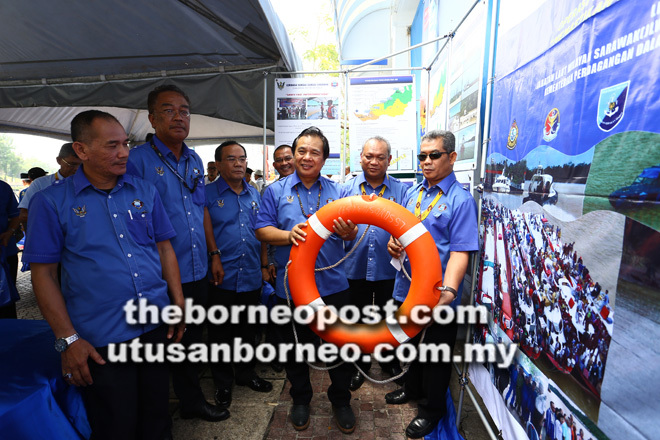 Transportation Assistant Minister Datuk Dr Jerip Susil told reporters this after launching the River Safety and Cleanliness Campaign and Sarawak Rivers Board’s 25th anniversary at Kuching Waterfront yesterday. He said this council will conduct studies, find out the causes of accidents, calculate estimated losses and act when there are riverine accidents. SRB River Safety and Cleanliness Campaign aims to enhance river transport safety. It was launched by Dr Jerip (centre) yesterday. The establishment of a river safety council is based on a suggestion by the State Secretary’s Office, he added. Earlier at the launching ceremony, the Mambong assemblyman said Sarawakians can count rivers as part and parcel of their leisure activities as they are cleaner than they have ever been in the past. “Due to efforts by Sarawak Rivers Board (SRB), the river here is beautiful, clean, and can be utilised by the community as part of their leisure time, but we have to modernise the facilities,” he said. He also said the state government is upgrading facilities to include more comfortable terminals as well as an e-ticketing system to keep tabs on passenger load. Dr Jerip viewing one of the visuals on exhibit during the launch of the event yesterday. Also seen here are Richard (second right) and Murni (right). “E-ticketing can ensure there is no overloading, and we can ensure maximum safety by all our riverine transport users,” he added, pointing out that discussions with all relevant parties were ongoing. Dr Jerip said that the river remains the important method of transportation for places not yet connected by road, and around three million people use the river annually as a means of transportation. He added that Sarawak rivers and riverine activities have shown improvement, with zero accidents this year. Also present were Sarawak Rivers Board (SRB) controller Richard Tajan and SRB chairman Dr Murni Suhaili.